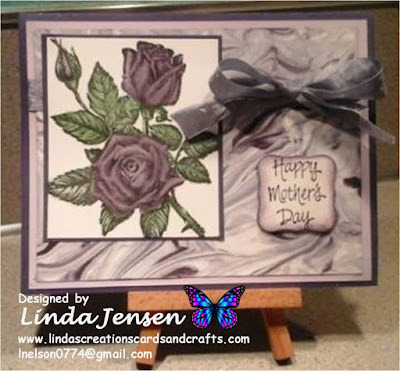 A blog about card making and crafting with beautiful pics and easy to follow tutorials. First cut a 5 1/2" x 11" piece of turquoise card stock and fold it in half for the base, a 5 1/4" square piece of light blue for the first layer, and a 5" square piece of white for the front layer. Then tear two pieces of scrap paper in the shape of a snowbank, add removable adhesive around the top edge and attach one of them to the front layer. Next sponge the center of the front layer with Stampin' Up! Bashful Blue ink getting lighter toward the top. To avoid dark spots begin sponging just off the card stock and work your way in. Then using a Stamp a ma jig, heat emboss the smaller white trees putting the first one in the center of the card stock with Versamark ink and Winter Wonderland embossing powder. Next stamp the black trees in Memories black ink so they slightly overlap the embossed ones. Then heat emboss the pine tree on the left side of the front layer with Versamark ink and Winter Wonderland embossing powder. Next just to the right of the embossed tree stamp the tree again in black ink. 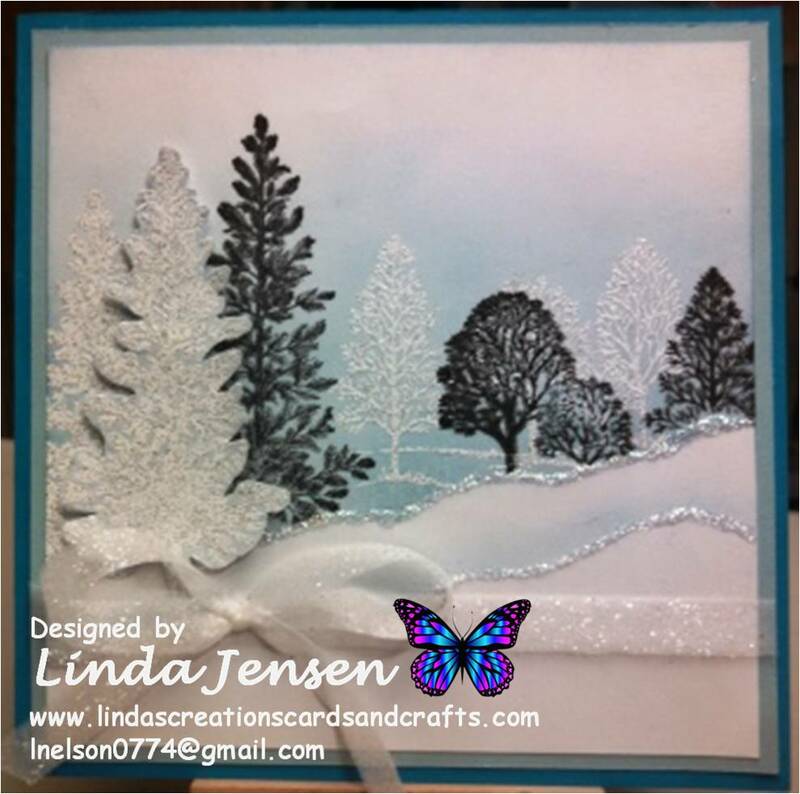 Next heat emboss the tree again on a piece of light blue card stock with Versamark ink and Winter Wonderland embossing powder, cut it out and set it aside. Next remove the mask and place it (or another one w/a different shape) just below the first line and lightly sponge the top edge with Bashful Blue ink then add Diamond Stickles glitter glue along both sponged lines and allow it to dry completely. Then attach the light blue embossed pine tree with mini pop dots, attach the front layer to the middle layer, tie the ribbon around both layers then attach the middle layer to the base and enjoy! Please let me know if you have any questions, I'm always happy to help. I always appreciate any comments/suggestions that you'd like to share. Thank you for stopping by, have a great day! I'm constantly striving to improve my blogging and card making skills so I really appreciate any comments/suggestions that you'd like to share. Thank you for stopping by, have a great day! I live in Vancouver, Washington with my fiancee Wayne, 23 year old son Kevin, 4 dogs and 1 cat. I love papercrafting and sharing my passion for creativity and card making with others.